The main controller is an Ambarella A5s system-on-chip, which contains an ARM processor, video processing hardware, USB device controller, and other peripherals. 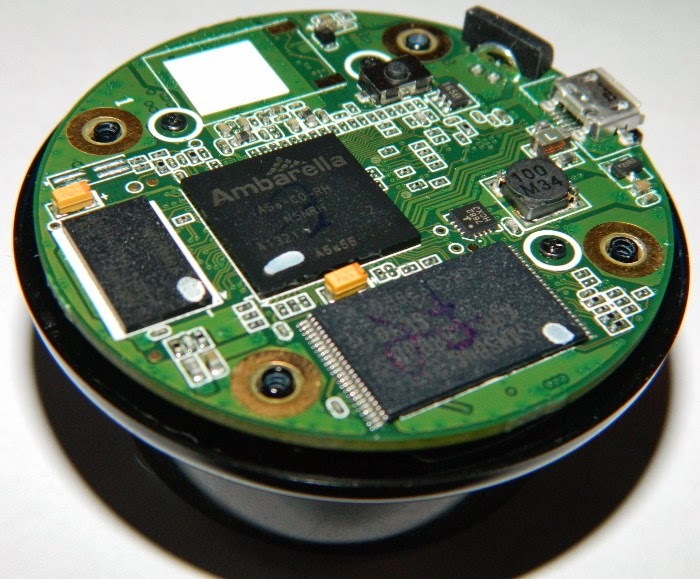 We had actually already guessed that the Dropcam used an Amborella chip based on the iManufacturer USB descriptor field value “Linux 2.6.38.8 with ambarella_udc”. Ambarella chips are also used in GoPro cameras. 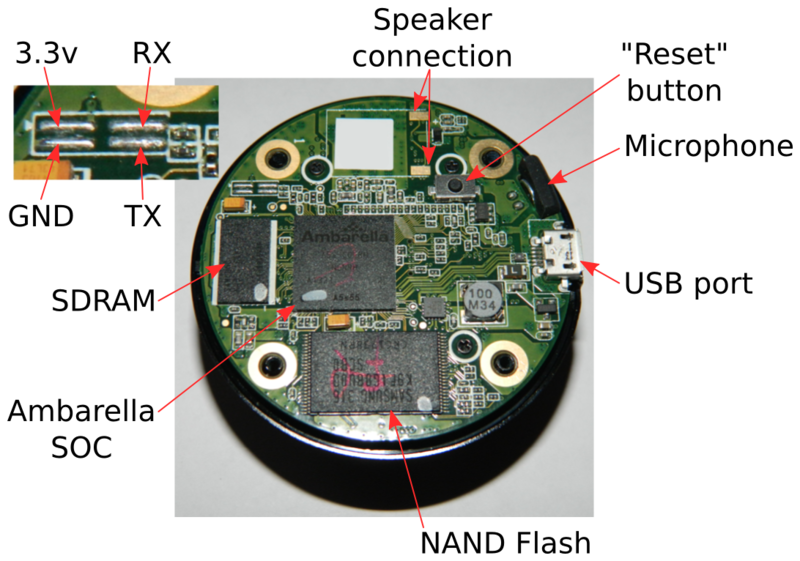 Quite a bit of work has been done reversing GoPro cameras by other researchers. 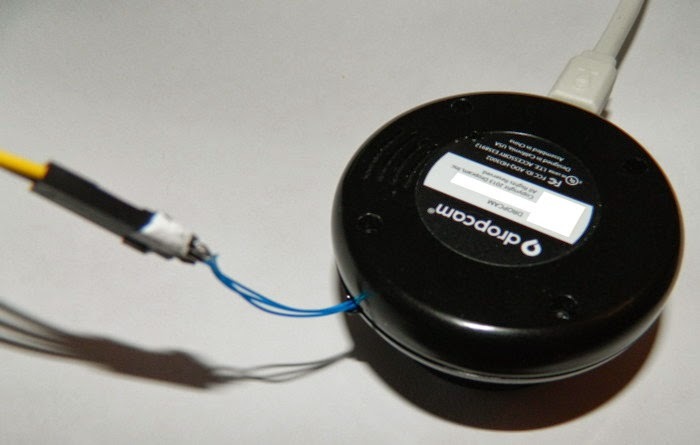 One researcher, who goes by evilwombat, has done some particularly interesting work, including writing a firmware parser and tools that can be used to load custom code onto GoPro cameras over the USB port, which can be found at his Github page (https://github.com/evilwombat?tab=repositories). [ 3.130000] VFS: Mounted root (ubifs filesystem) on device 0:13. This means that each Dropcam has a unique client certificate that it uses to authenticate to the Dropcam cloud servers. We'll have another blog post coming up detailing how to reverse engineer those compiled Lua scripts, with a tool to make the RE work easier. I wanted to perform a man-in-the-middle attack so that I could decode the TLS traffic from the camera. Every Dropcam has its own client certificate issued by the Dropcam CA; with a copy of my camera's client certificate I could start a TLS connection to the Dropcam servers, but I couldn't yet convince the connect binary to connect to me. 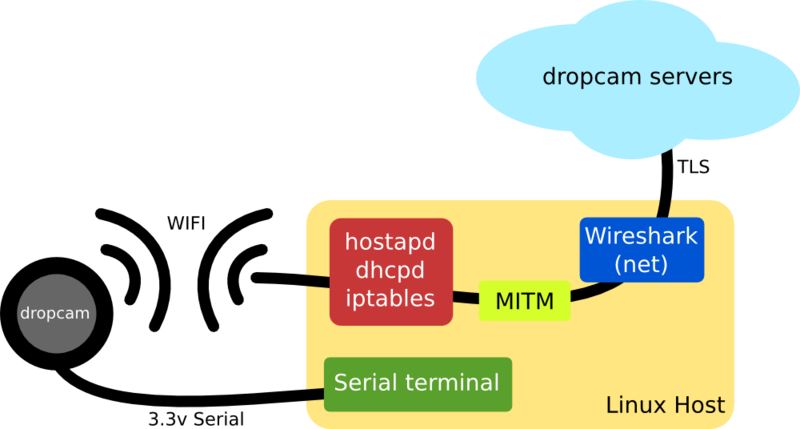 In order to perform the man-in-the-middle attack, the simplest option was to patch the server certificate checking code out of the connect binary. This involved flipping one bit in the unpacked binary, re-packing it, and uploading it to the camera. 7: "Dropcam Connect - Version: 162, Build: 57 (jenkins-connect-release-node=linux-57, a29560dbb0724e7dbafb19b9ac1268b6fb62f1d6, origin/hotfix/basil)"
8: "Build: 181 (jenkins-ambarella-181, 8732f64a79aecdd16bf6562775015c303d71c839), Linux: Linux Ambarella 2.6.38.8 #15 PREEMPT Mon Oct 1 16:59:51 PDT 2012 armv6l GNU/Linux"
The client then connects to the “oculus” server and sends another HELLO packet. Most of the configuration options in the Dropcam web interface correspond to droptalk messages that are sent to the camera. When the server is ready to receive data, it sends a START_STREAM message with some video parameters in it. Video data is sent from the camera in RTP droptalk messages containing RTP formatted video data. 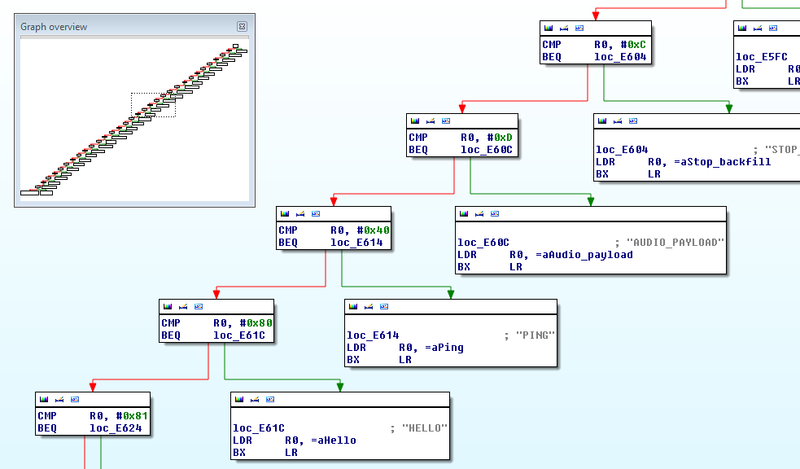 In this post I've written about the process of reverse engineering the Dropcam from the point of opening the case to having a basic understanding of its network protocols. With the information we've gathered, you could start to piece together a protobuf definition file (.proto file) for the various message types and write your own droptalk client or server. Alternatively, you could use the root shell on the Dropcam to modify or add to its functionality. Comment below, email us, or tweet @IncludeSecurity if you try these things, we'd love to hear what modifications you make to your Dropcam. Stay tuned for the final blog post in this series regarding Lua scripts!